Good win - It was one they needed to have and one they should have had. 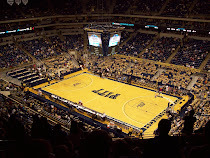 As I mentioned in my Q&A with Pico over at East Coast Bias, Pitt has had struggles in the Garden against St. John's (1-2 in their past three games leading up to this one). To start, our handy game flow chart shows a steady Pitt lead for most of the game. Pitt never got out to a huge lead and they never let St. John's get any closer than five in the second half. The box score shows why Pitt was unable to win by a huge margin. For the second time this year, St. John's outrebounded them. SJU also took care of the ball (only five turnovers to Pitt's eleven) and got to the free throw line more often (+7). So what was the difference? Shooting. Pitt converted over 50% of their shots while St. John's made less than 37%. And it wasn't just shooting, it was getting EASY shots. 15 of Pitt's 24 made field goals (63%) were layups or dunks while St. John's had 52% of that variety. I don't really know what to make of the rebounding issues Pitt has against St. John's. Nasir Robinson (8), Gary McGhee (8), and Ashton Gibbs (6) did the job, but no one else had more than two rebounds. And in losing the rebounding battle each time this year, Pitt ends the season at -15 in rebounding against St. John's. Keep in mind that this second game, a -5 effort, was after an emphasis was placed on rebounding and the supposed boot camp that players endured after the beating laid on them by Notre Dame earlier this week. That stuff is all fine and good, but for the most part, I subscribe to theory that when the game starts, most of that stuff is forgotten. 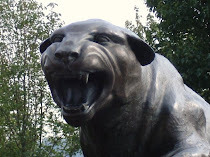 Nasir Robinson is a beast and really poses somewhat of a dilemna for Pitt. His rebounding and toughness is at times (like today), very much needed while the clamoring for Gilbert Brown to start is still there. What's the answer? Do you put Nasir at SF and move Brad Wanamaker or Jermaine Dixon to the bench? I don't really know. At this point in the season, it's probably not worth worrying about and the rotation should just stay as is. Despite my previous pleas to move Dante Taylor to the 4, it's too late in the season to move people around and that type of stuff should just go on hold until next year. Travon Woodall was also forced into action in a big way due to foul trouble by Dixon and Ashton Gibbs. His 27 minutes were by far the most he'd seen in a Big East game this year, other than that triple-OT win against WVU. He did have three turnovers, but also six points and four assists for a mild game. Next up is Providence at home on Thursday. Just an FYI ND really put it Gtown yesterday.